Today was my second day in Madrid and it has been amazing so far! I am here with a couple friends. Yesterday, we went to the Prado to see their amazing collection of art. We spent three hours there, it was huge! Next we had a tasty lunch and took a nap. Sadly, the naps went longer than intended and we woke up at eight! Luckily, the city keeps going until the wee hours of the morning so we headed out for dinner and a walk around the center of the city. It was a nice way to end the day. We woke up early and went to have churros and hot chocolate at a place called El Botanico. It was delicious! The churros didn’t have sugar or cinnamon on them, which was fine because they perfectly complimented the hot coco when dipped in it. After that we walked down to the Reina Sofia and got in line before it opened, which was great because the line never ceased every time I glimpsed it through the museum windows. 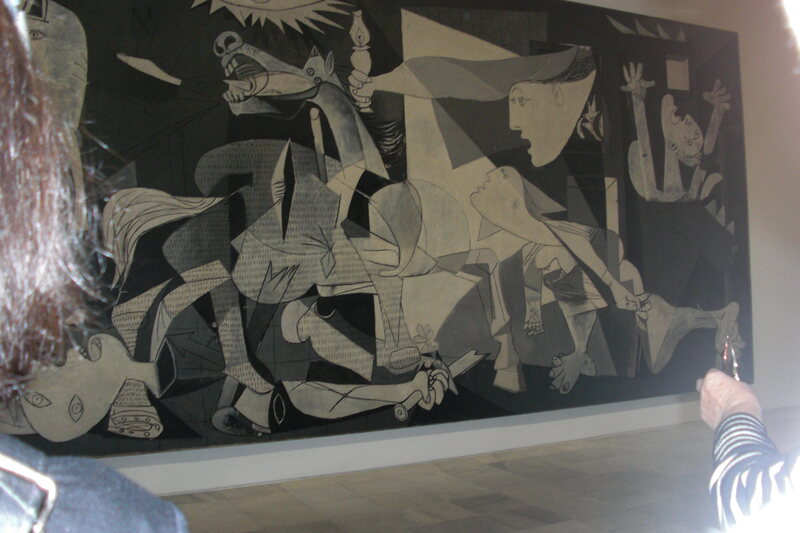 We rushed up to the second floor to see the Guernica first thing! I was so disappointed we couldn’t take proper photos. I stayed there for a while because I was so awestruck by the emotion Picasso was able to portray. I didn’t expect such an abstract painting to be able to show such anguish. The pose and faces of the subjects really got across the emotion of the time and event. Wandering around the exhibits alone was refreshing and relaxing. It was nice to contemplate the art, there were so many different varieties! I was amazed to see such beautiful work from Dali, Picasso, Hitchcock, and Rivera. Next we traversed to the earliest restaurant in the world, Botin! Even though it was slightly expensive, I had the specialty of roasted suckling pig. It was super good!! I enjoyed the experience. After lunch we tried to go to San Francisco El Grande to see the famous dome but it was closed since it was Monday. Next we walked to Cathedral Almudena and it was beautiful. 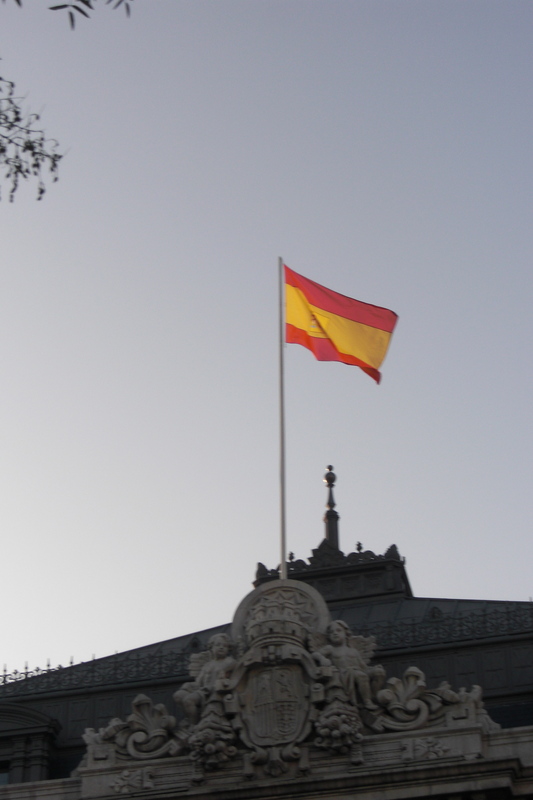 We then went to see the Palacio Real and it was so finely decorated. For dinner we had tacos! They were delicious! I have really missed good tacos since being in Europe. Afterwards we went to a flamenco show, which was great! We were able to score front row seats, which really amplified the experience. The movements of the dancers were both forceful and elegant. Tomorrow morning I plan to eat breakfast at Plaza Mayor before my flight to Lisbon!